Day 1: International flight from USA to Lima. Day 2: City tour in Lima, free afternoon and Hotel night in Miraflores. Day 3: Free day in Lima – Hotel night in Lima city. Day 5: Jungle tour in Apu Victor Lake and Monkey Island. Day 6: Jungle Tour and the lost lake. Day 8: Walking City Tour in Cusco, Hotel night in Cusco City. Day 9: Free day in Cusco, Hotel night in Cusco City. Day 10: Train to Machupicchu and Hotel night in Machupicchu town. Day 11: Machupicchu tour and train back to Cusco, Hotel night in Cusco City. Day 12: Transfer to the airport flight to Lima and to USA. Day 03: Free day in Lima. Day 04: Flight to Puerto Maldonado – Peruvian Jungle Tour. Begin Amazon Peru Tours visiting Monkey Island. Arrival in Puerto Maldonado, then transfer to the village where we will get on our boat and begin the unforgettable journey through the Madre de Dios River. On the way, you could observe the alligators, turtles, herons and other animals. Arriving to the Peru Amazon Lodge, you will enjoy of the exquisite typical welcome drink and then you will settle into comfortable bungalows, Afterwards comes lunch. With the help of our specialized guide we will visit Monkey Island, located at only five minutes from the lodge, in the middle of the Madre de Dios River. The monkey island hosts different monkey species: starting from the noisy ones, the Maquisapas, the happy Achuñis, and the very impressive Frailes to the very little and funny “leoncitos” little lions. During the way to the Island, you will see very beautiful landscapes with all the flora and fauna that they host, as well as the amazing sunset in the jungle. Day 05: Jungle Tour Apu Victor. The day will start with the beautiful birds singing; then comes breakfast. We’ll start our journey with a hike to the deeps of the woods, special paths with britches to cross the gaps. During the journey we will observe the caimans cave. Then we will continue and arrive to the majestic Apu Victor Lake, beautiful crystalline waters, surrounded by huge swamps, giant trees. Later we will climb up our Amazon Peru Tours Observatory, where We will have a panoramic view of the lake, we will observe parrots, guacamayos, toucans, camungo, shanshos, herons, and If we are lucky enough we could observe one of the most spectacular animals of the jungle, the giant nutria, Then after many hours, we will return to the lodge and lunch. In the afternoon we will visit Gamitana river, that is born in the heart of the jungle. In its shores we could observe turtles, caimans, butterflies and some other animals. You may have a swim in its waters. Then return and have dinner. Day 06: Jungle Tour The lost lake. After breakfast, we will start an adventure in the virgin rainforest, and accompanied by a local guide, we´ll go on a hike in the deep jungle, to get to the Lost Cocha which constitutes a refuge and feeding ecosystem for a huge variety of animals. There, we´ll have the chance to observe Otters, Caimans, Turtles, Sachavacas (Tapirs) Birds with multicolored feathers, the majestic Jaguar and a variety of fish species. This area is unique and proper to the Ecoamazonia´s Ecological Reserve which maintains it intact, with huge swamps and diverse “aguajales”. 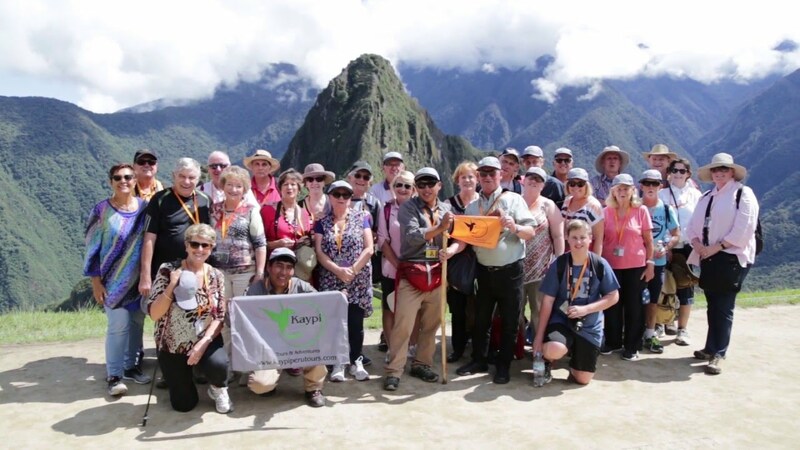 Day 7: Jungle Tour and Flight to Cusco. Day 8: Walking tour in the Ancient Capital of the Inkas. Day 9: Free day in Cusco city – Optional tour available. You will spend the night in Machupicchu town. Day 12: Transfer to the airport, flight to Lima and to USA. 2 domestic flights in Peru, Lima – Puno, Cusco – Lima. 10 nights’ accommodations (Lima, Puno, Cusco, Machu Picchu). 7 nights in a 3 star hotels and 1 night in a local house. 14 meals: 8 breakfasts, 4 lunches and 3 dinner.